Woman's Bracelets There are 235 products. This is a handcrafted italian style woman bracelet, BBHands Tibet Style. It is a wrap bracelet. 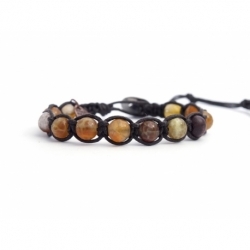 Precious stones (amber agate) are woven with care and passion onto a single braided waxed cord. This bracelet includes some adjustable leather closures for a confortable fit and a steel button. This is a handcrafted italian style woman bracelet, BBHands Tibet Style. It is a wrap bracelet. 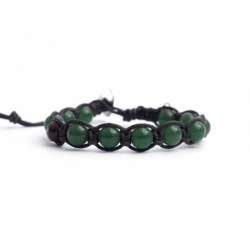 Precious stones (aventurine) are woven with care and passion onto a single braided waxed cord. This bracelet includes some adjustable leather closures for a confortable fit and a steel button. 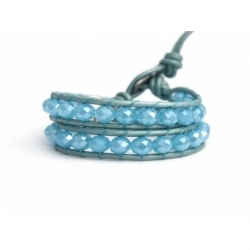 Crafted from natural azure silk threat, this cuff bracelet will bring a unique element to your jewelry box Swarovski strass embellishment are attached to offer an eye catching statement you can accessorize every season. 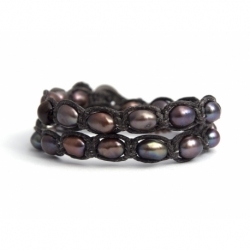 This beautiful handcrafted wrap bracelet for woman catches light from every angle. Beige alcantara and a sparkling tube of strass can easly compliment any look and makes the perfect day to night accessory. 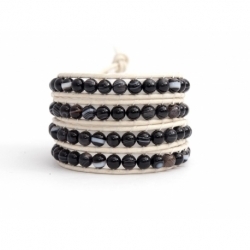 This beautiful handcrafted wrap bracelet for woman catches light from every angle. Black alcantara and a sparkling tube of strass can easly compliment any look and makes the perfect day to night accessory. This is a handcrafted italian style woman bracelet, BBHands Tibet Style. It is a wrap bracelet. 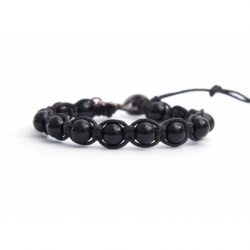 Precious stones (black onyx) are woven with care and passion onto a single braided waxed cord. This bracelet includes some adjustable leather closures for a confortable fit and a steel button.